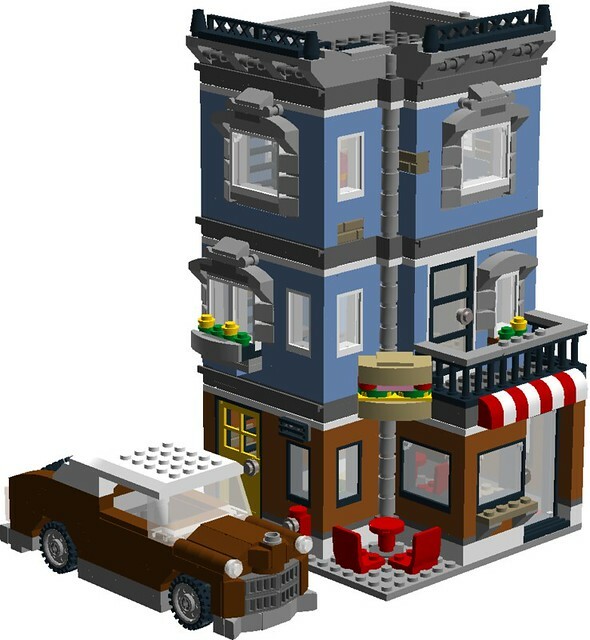 I recently received the CREATOR set "Corner Deli" (31050), and I decided it needed an upgrade to better fit my Town's standards. 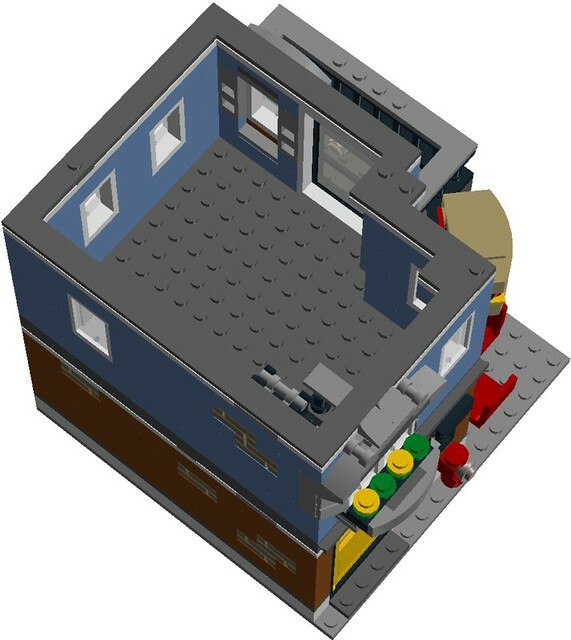 I added a third level and rear walls to all the models' floors. 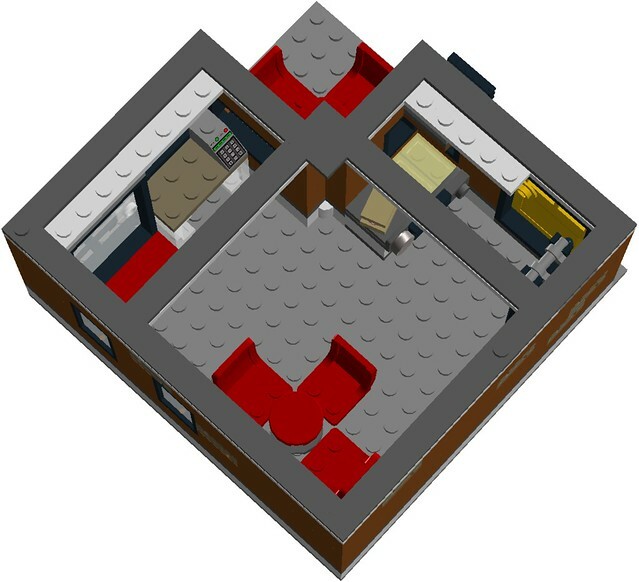 I added a desk for the private eye whose office is on the top floor, plus inside and outside seating on the street level for patrons of the deli. Unfortunately, my creative juices ran out by way of the second floor furniture, so it is sadly empty. The rear of the building features exposed brickwork in places giving this a New York City (or any older big city, really) like feel. 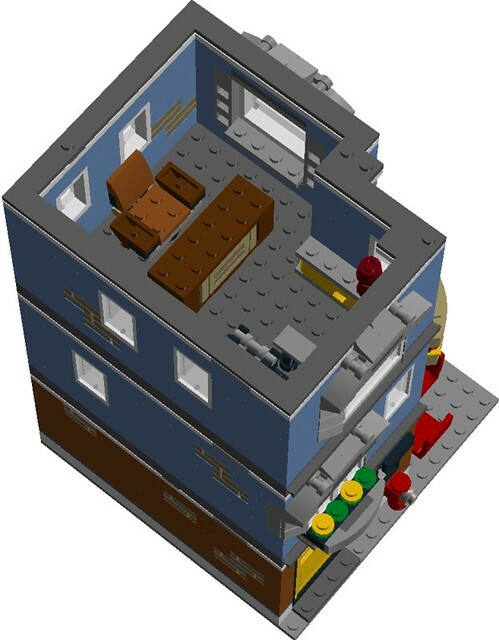 The upstairs detective office features a desk, chair,and light with a secret hiding spot for something small, maybe a pistol. This floor is also lacking two of these printed windows. Sadly, their is nothing on this floor as I couldn't think of what to put in there. The Deli sign hooks onto the outdoor balcony, next to the rainwater downspout I added to every floor. The lowest floor features a delicatessen with a deep fryer, grill, indoor / outdoor seating and a serving window with cash register. 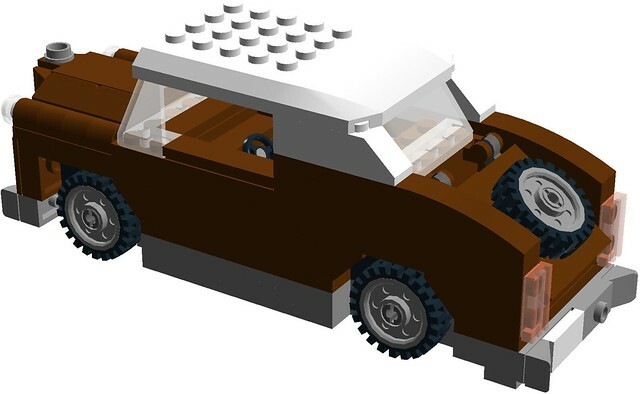 This car was originally based on the car from set 10232, (Palace Cinema) along with a front end inspired by set 70906. (The Joker Notorious Low-rider) You can also build this car in red or black instead if you so desired. The rear of the car with the spare tire. 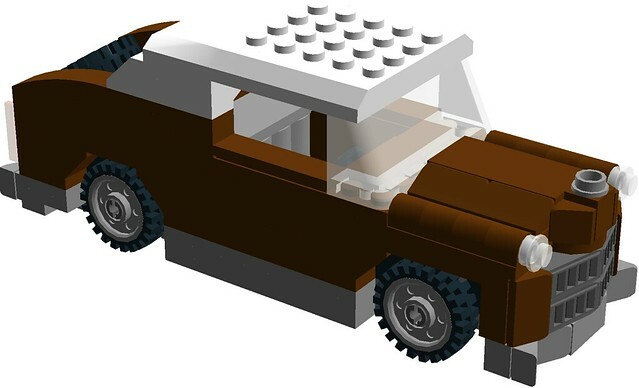 The car features seating for one driver figure, plus a spare tire at the rear of the car on top of the opening trunk. 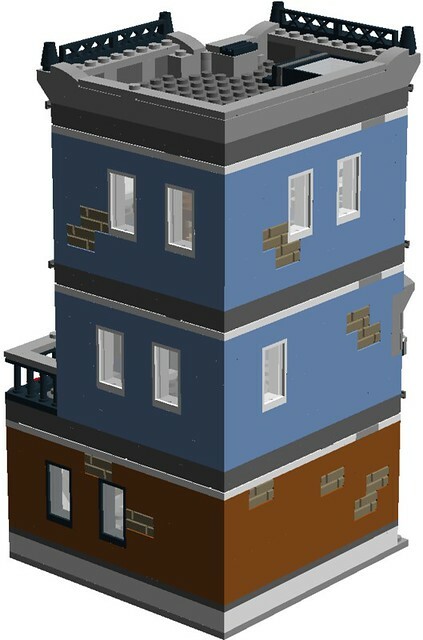 The LDD file is available for both car and building at Brick-safe at this link. As I already have 90% of this build's parts already, I will be ordering this next along with the clock tower for my train station. Please keep an eye out for real-world pictures coming soon to this topic, and remember that comments, questions, and complaints are always welcome!